A small patch of unapproved genetically modified wheat that was discovered in southern Alberta last summer is causing trade headaches for Canada. This week, South Korea joined Japan in suspending imports of Canadian wheat after news of the discovery emerged. The incident is worrisome given that Canada is one of the world’s largest wheat exporters, with Japan being a top importer of Canadian wheat. But the Canadian Food Inspection Agency (CFIA) says government officials are working closely with foreign trading partners to ensure the GM wheat hasn’t entered the grain supply, and expects that trade in wheat with Japan and South Korea will resume once their officials conduct their own tests to confirm it was an isolated event. “What we do know is that the incident is very, very limited in scope and we’ve been able to isolate it and control it and destroy anything that is related to it,” says David Bailey, CFIA plant production division director. The GM wheat was discovered in a small area next to an access road, but Bailey says the agency can’t speculate where it came from and may actually never know. The CFIA will monitor the site and surrounding area for the next three years and are also confident no cross-pollination took place, he says. The wheat contains a genetically modified trait developed by Monsanto to withstand the weed killer Roundup. Bailey explains, however, that the last field trial with this trait was in 2000 and it was 300 kilometres away from the discovery site, so there is no evidence of a link. 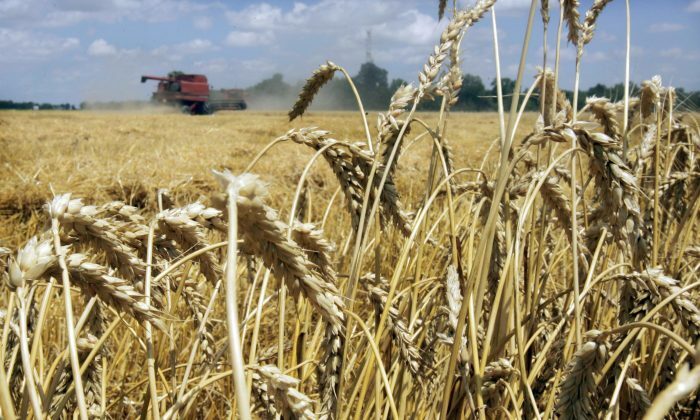 After Japan suspended wheat imports on June 15 and South Korea followed June 18, Global Affairs told The Canadian Press that it is standard protocol for these countries to temporarily close markets in such cases. But spokesman Jesse Wilson added that both countries will be able to make informed decisions by having full access to the information provided. Genetically modified wheat is not permitted to be grown commercially anywhere in the world. The National Farmers Union (NFU) says Japan is an important customer not only because it is Canada’s second-biggest wheat importer, but also because it looks for quality grain and pays premium prices. Japan imported $598.6 million worth in 2016 and imports around 1.5 million tonnes per year, whereas South Korea imports around 235,000 tonnes per year, according to federal government data. “This is obviously a serious situation for Canadian farmers, having a major customer close-down. Hopefully it will only have a small effect on the market and the bans will be short,” says NFU seed committee chair Terry Boehm. Boehm rejects the CFIA’s claim that there is no evidence linking this incident with Monsanto’s open-air field testing of the same GM wheat plant between 1998 and 2000. He believes the incident is a result of a lack of adequate precautions taken by the CFIA when it permitted the biotechnology company to do its testing. Boehm couldn’t speculate on how long the suspensions will last, but he says the incident is similar to what happened when GM wheat was found in the United States in 2013 and it took two months for foreign officials to confirm it didn’t reach the grain supply and open up markets again. He says such incidents are the reason why the NFU wants an end to all open-air field testing of GM crops, since contamination puts farmers and the Canadian economy at risk. Lucy Sharratt, coordinator at the Canadian Biotechnology Action Network, says the CFIA should be conducting more tests to ensure there is no connection between Monsanto’s field tests and the GM wheat found in southern Alberta. Sharratt believes government should look seriously at the risk posed by open-air field trials, knowing that contamination can be economically costly. In 2013, Monsanto paid over $2 million to settle lawsuits from U.S. farmers who claimed that the company failed to protect the wheat market from contamination. Monsanto spokesperson Trish Jordan says it is important to note the trait found in the GM wheat has already been approved for other crops such as canola, corn, and soybeans for over 20 years. And both the CFIA and Health Canada said the incident doesn’t pose any risk to human health or the environment. Sharratt, however, says that with GM wheat specifically, there still hasn’t been enough testing to prove it is safe. Japanese scientists and officials are expected in Canada by the end of the week to start conducting trials in Alberta.